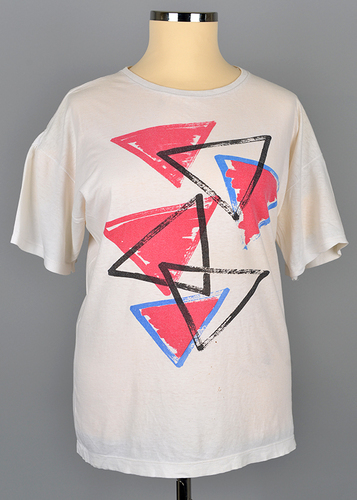 T-shirt with logo Pink Saturday 1982 in Amersfoort. 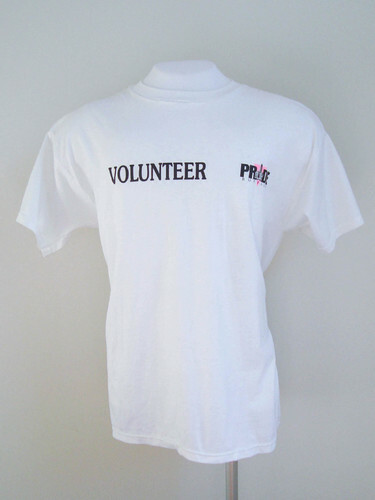 White t-shirt with sketch of Westerkerk and gay monument Amsterdam. 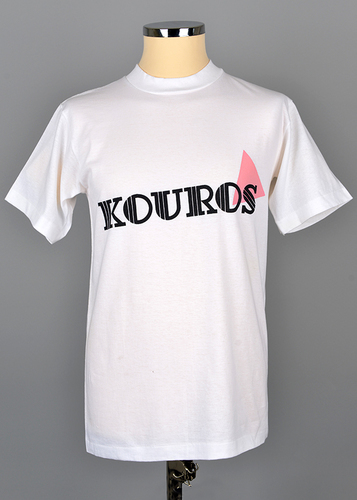 Made for queen's day. 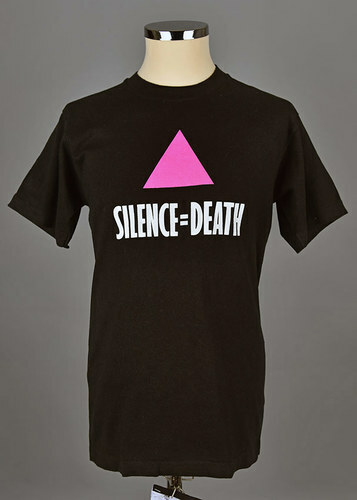 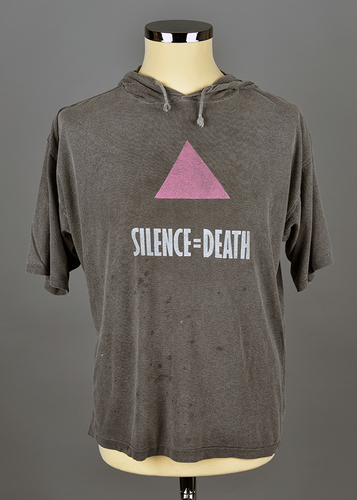 Black t-shirt with pink triangle and text: Slience=Death. 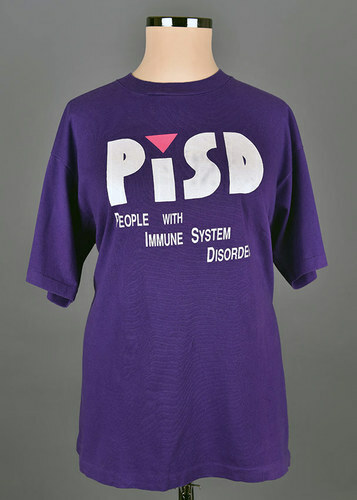 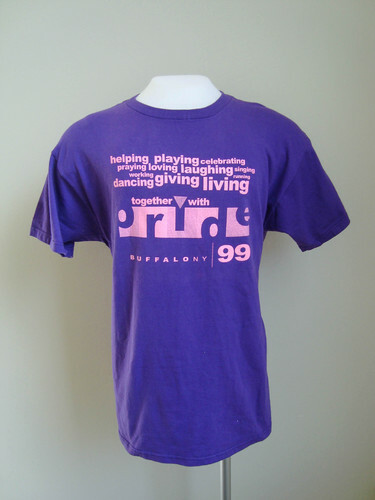 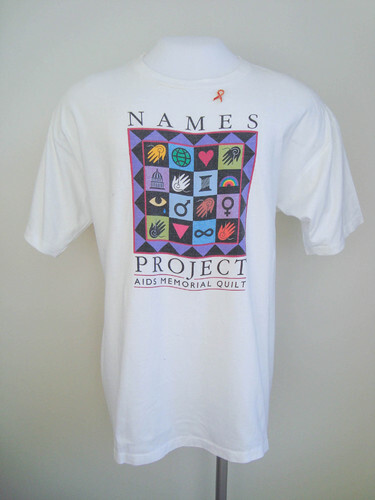 Purple shirt with acronym PISD and text: People with Immune System Disorders. 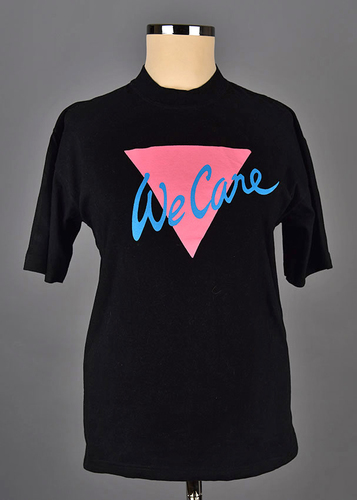 Black shirt with pink triangle and text: We Care. 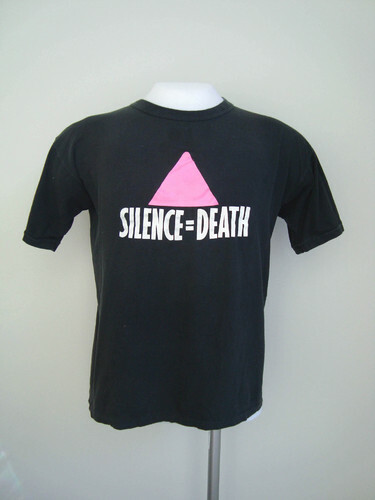 On the back: A Community Program By Pink Triangle. 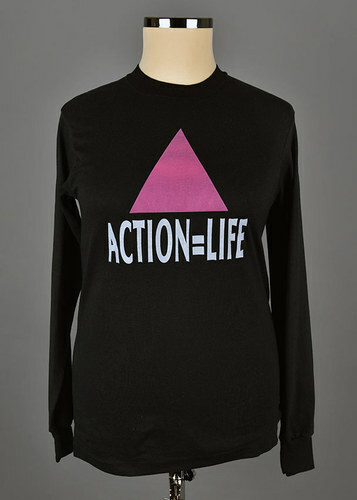 Blank long sleeves t-shirt with pink triangle and text: action=life. 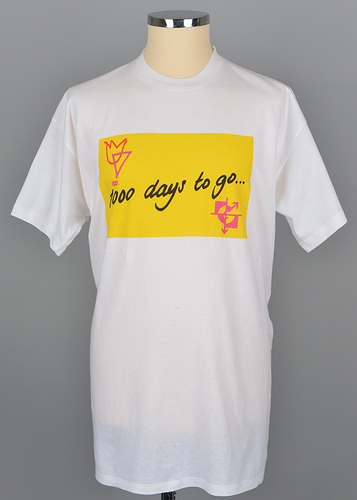 White shirt with Gay Games logo on yellow rectangle and the text: 1000 days to go. 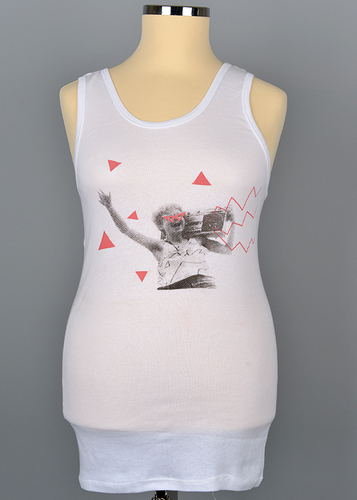 White sleeveless shirt with image of happy woman with portable radio on shoulder, accompanied by pink triangles. 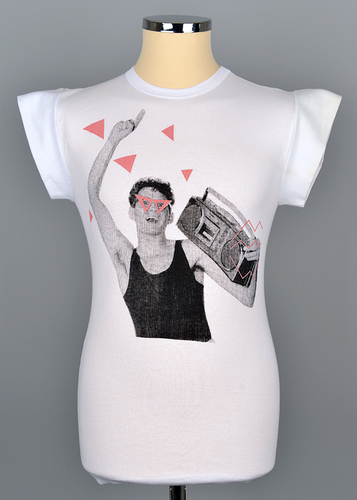 White t-shirt with image of happy woman with portable radio on shoulder accompanied by pink triangles. 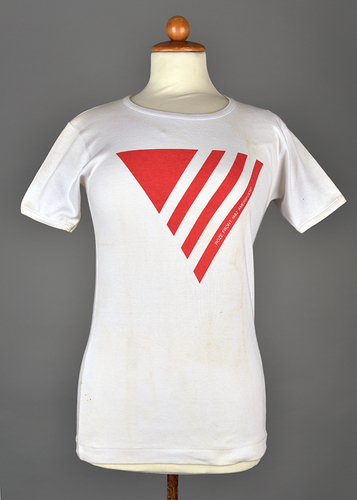 White t-shirt with U.C. 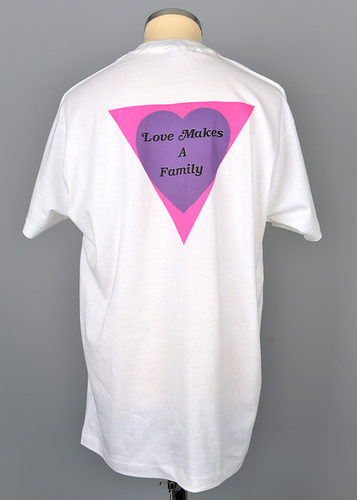 Irvine Shantytown 1990 on frontside and the words "love makes a family" on backside. 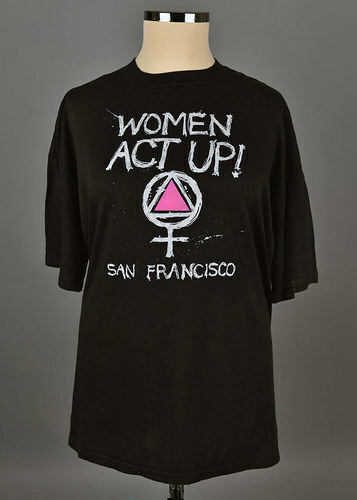 Shirt pertains to 1990 protest. 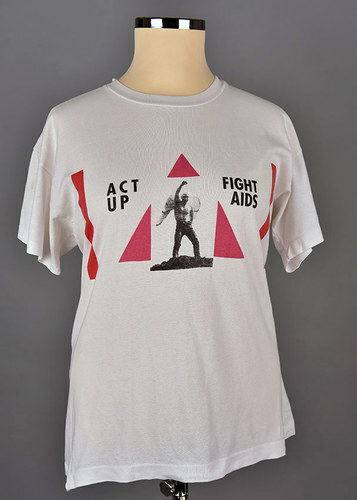 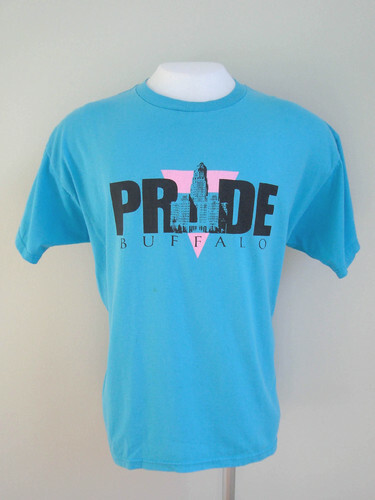 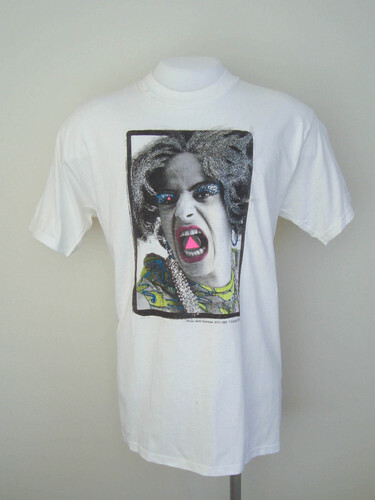 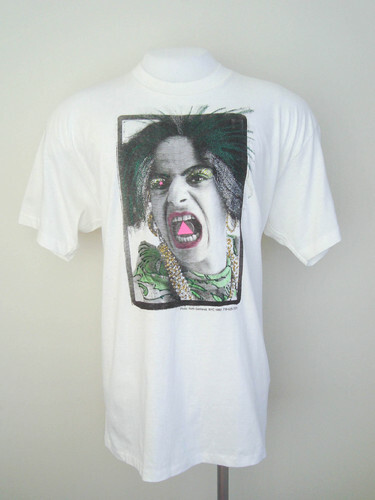 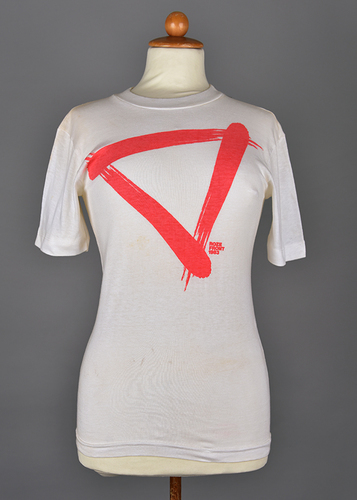 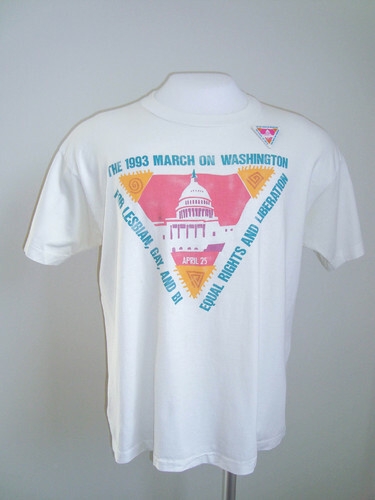 White t-shirt with logo of Gay Pride Day 1986 in Utrecht. 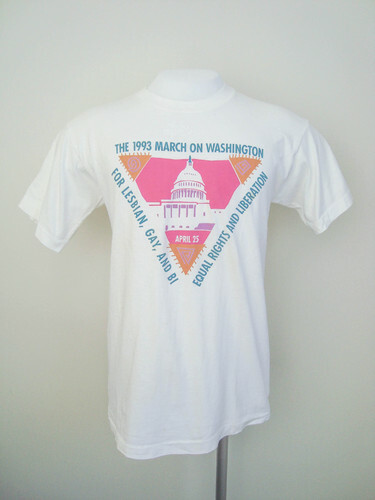 The slogan of the day was: More color! 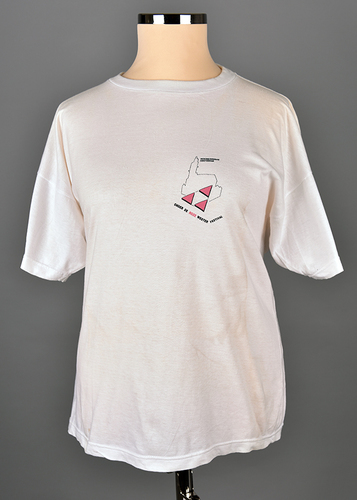 White t-shirt with pink triangles and the words "Pink Pronkjewail" meaning Pink Showjuwel. 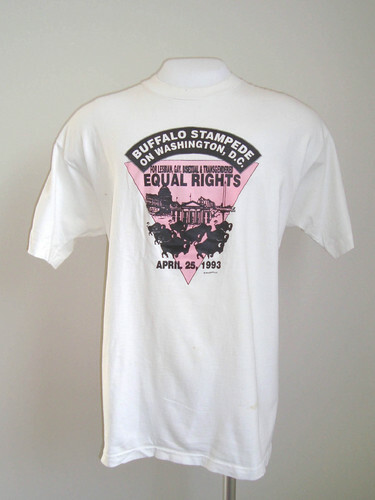 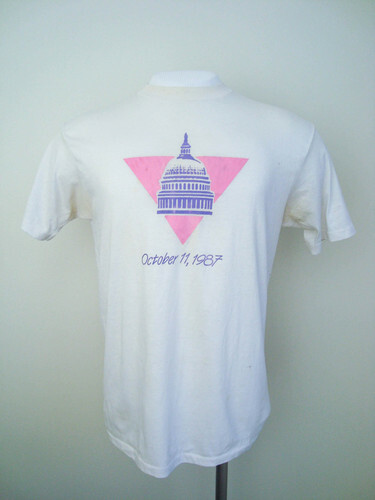 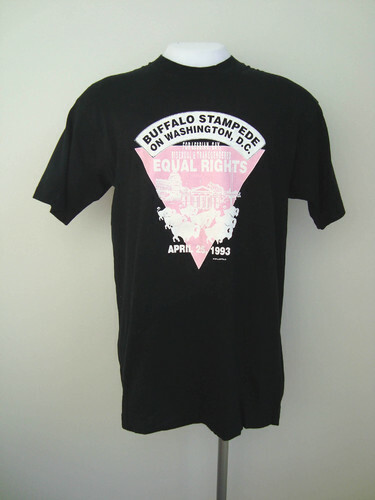 Description: White shirt with pink triangle and purple image of Washington D.C.